Unathi Nkayi. (Photo: Gallo Images). The South African journalist, author and radio host is well known for her no-nonsense approach when it comes to matters that affect the country. But another thing the Big Debate show host has become well known for is her timeless beauty. Redi turned 40 in May this year. The radio jock, TV personality, singer and Idols judge is an open book when it comes to fitness. She inspires many of her Instagram followers with posts of her workout sessions and motivation. 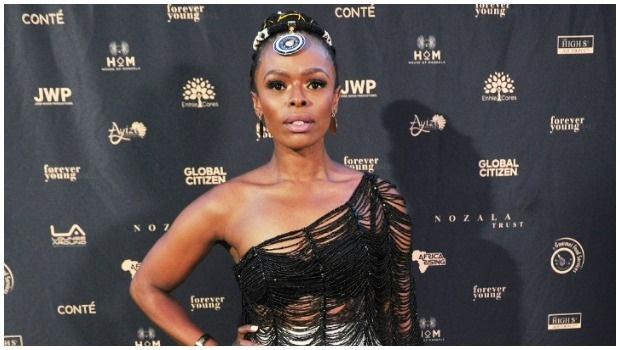 Unathi celebrated turning 40 on a beach getaway, and served flames as she soaked up the sun in a black and white swimsuit. I think if I’m being honest I’m fascinated by skin. The largest organ on the human body yet we can neglect it at times you know. So the Vela Treatment @africology_sa has been an amazing addition to this lifestyle thing I’m trying. It uses heat to help contour your body and even out your skin to give you that wonderful smooth appearance. Some call it the #GlowUp PS Meet Asanda my FAVOURITE at @africology_sa but everyone’s great???? The actress, famous for her role as Dineo Mashaba in the soap opera Generations, makes 40 look 20. Katlego who earlier this year opened up about the insecurities she had about herself in the past, celebrated turning 40 in November and let’s just say we want to know what the secret behind her youthfulness. A fabulous night was definitely had. Had the honour of handing the Favourite Actress award to one of my personal favourite actresses @thembsiematu . Blessed to have been part of a great production ??? ?congratulations to all the winners. #DStvMVCA #DStv #MzansiMagic #KatlegoDanke thanks to @Rubiconclothing for the beautiful dress @LaJawi for the vixen hair @a.i.relations for so much else! The TV personality has been in this industry since she was 14 years old and, without a doubt, Claire Mawisa has remained a favorite amongst many South Africans who have watched her grow over the years. For 25 years and counting, Claire has continued to grace the covers of many magazines and without a doubt inspired many women. The natural beauty celebrated her 40th birthday in October with a red themed birthday party which was attended by her closest family and friends. The 40-year-old actress who recently made her comeback to the small screen as Captain Ntsiki Motshe in the crime drama The Docket – looks no different from the first time we were introduced to her on our screens. In fact, she looks even more beautiful and her fitness game is on point. Hlubi, who in an interview with Drum opened up about her career and marriage – continues to advocated for equality in particular for black women in the television industry.